The kit came with blue, yellow, and red dye and then instructions on how many drops of each color to make an orange, red (pink), yellow, green, blue, and purple. 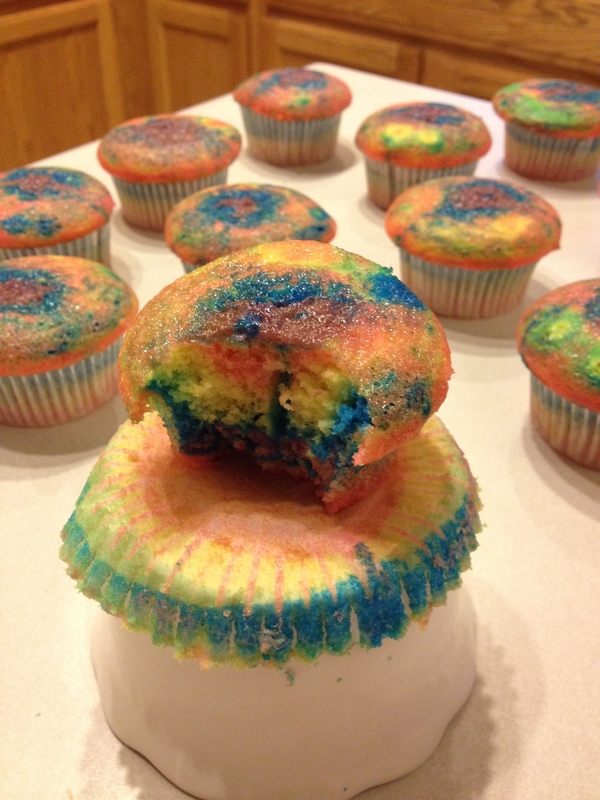 You combine the ingredients like normal and then divide the cake evenly into six bowls and then pour a little of each color into each cupcake holder. So I did a little pink, then a little orange, etc. until the cupcake holder was 3/4 full. You DO NOT mix the colors together at all. 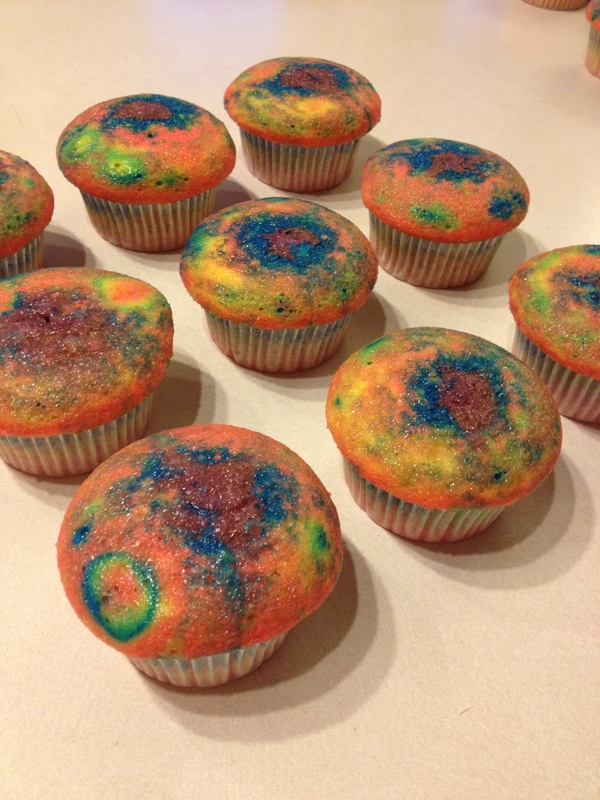 After you layer the colors, you just level it out by banging it on the counter, and bake. They turned out really cool. Come back in a few days to check out the cupcakes I am making tomorrow. These turned out great! So pretty for a birthday party!